The Residential Resort at Newport City now reveals a personal, more private side: The Palmtree. It's an exceptional address -- quietly elegant in appeal, yet profoundly resonant of an energy that can only be found in a vibrant metropolitan setting. Here, your life's greatest adventures begin. And a whole new you, ready to take on the world, emerges. The Palmtree at Newport City is a tribute to everything you are -- and everything you've accomplished. Here, live in command of your very own cosmopolitan oasis. 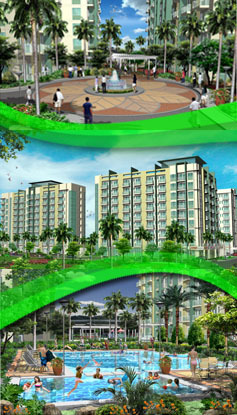 Fulfill your desire to have it all in one of four residential clusters. Each rising 10 stories. And exemplifying stylish sophistication. And with soaring palm trees and lush greenery dotting your community, beauty that was once so elusive in the city is now the kind that beckons you home.